The French scientific society CNRS, a huge country-wide network of research institutes and one of the most influential science institutions in Europe, had enough of me and my reporting. They now blocked me on Twitter, so I don’t spoil their celebration of a book by their senior director and chief of research integrity, Catherine Jessus. The book is titled “Étonnant vivant”, which translated roughly means “Amazing ways to improve your Life science publications with just a little bit of photoshop”. I previously reported about some examples of this art in Jessus publications, which CNRS did not really appreciate. And of course CNRS did not take it lightly when my past reporting forced them to deal with the Olivier Voinnet affair, whose investigator was Jessus. Neither did they like my writings about another misconduct scandal she had very successfully kept under wraps, that around the former Voinnet postdoc Charles-Henri Lecellier, now CNRS group leader in Montpellier. What finally took the biscuit was my constant leaking of misconduct evidence and of internal information from the former Voinnet institute in Strasbourg, Institut de Biologie Moléculaire des Plantes (IBMP), or as I keep proposing to rebrand it, The Olivier Voinnet Institute for Research Integrity in Plant Sciences. CNRS initially tried it nicely, by sending the IBMP deputy director Jean-Luc Evrard to call me “baby”, then “idiot”, while instructing all other institute employees never to communicate with me, and eventually CNRS simply blocked me on Twitter. On this occasion, I will now bring more evidence on data rigging inside IBMP. Before dumping new evidence about the IBMP director Laurence Maréchal-Drouard, let us start with something traditional and well known, namely Voinnet and his sidekick Patrice Dunoyer, whose IBMP lab was supposed to be dissolved, but maybe he managed to save himself with a recent publication in Nature Plants. CNRS and their investigator Jessus dealt with Dunoyer as harsh as his excessive data manipulations made necessary: he got suspended for one whole month. Harsh, I know, but it had to be done. Yet Dunoyer never even pretended to regret anything. He never admitted any wilful data manipulation, at least not in public, and he certainly never came clean about all the data manipulations in his papers. He admitted only those manipulations which were already evidenced on PubPeer, yet he was forgiven nevertheless. So let us help him by showing some of those bits he forgot. Following is the evidence a reader of my site forwarded to me. How much more are the tenured IBMP scientist Dunoyer and his ex-boss, the ETH professor Voinnet, hiding, while being backslapped by the scientific community for their newly found research integrity? There is another version of this figure, in the 2009 thesis by El-Farouk Ameqrane, present as Figures 45 and 46. It is a beauty, what with its apparently duplicated lanes and bits of background. 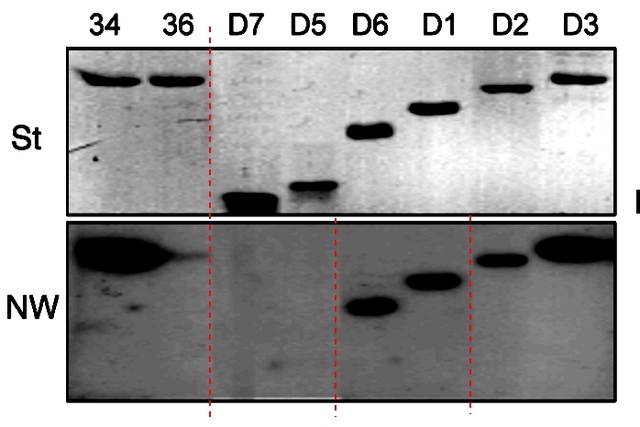 The 2009 PhD thesis by El Farouk-Ameqrane contains another problematic figure, where a gel lane was digitally duplicated, as indicated by red arrows. This figure however never made it into Salinas et al NAR 2014, the experiment was repeated and a new gel for Figure 1C was produced. Did Drouard maybe notice that the thesis Figure 36 was perhaps too plumply manipulated to be published in 2014? It is worth remembering that Drouard bears the responsibility for the content of both dissertations, that of El-Farouk Ameqrane and of Salinas. The IBMP director was however not interested to see any of the evidence of data manipulation in those theses, in fact she never replies to my emails on principle. Her past PhD student Salinas is presently a technician in her own lab at IBMP, tenured at the University of Strasbourg and married to the IBMP group leader Philippe Giegé. A paper from this lab turned out to contain duplicated gels (Gutmann et al 2012, PubPeer evidence and Giegé’s response here). 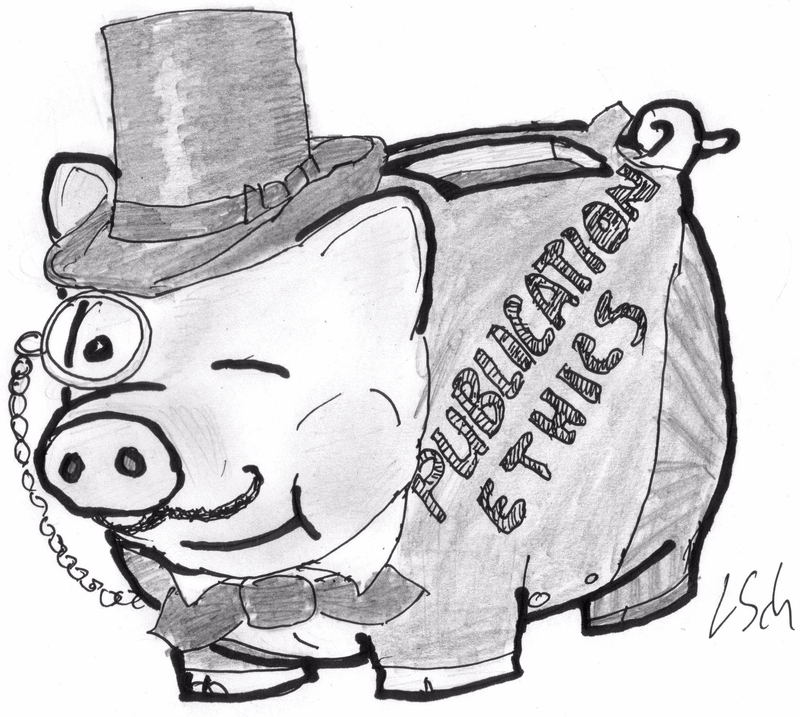 Will the journal NAR do something? Not likely. First of all, Drouard is member of NAR editorial board. Patrice Dunoyer was welcomed with his publications this year not only at Nature Plants, but also at NAR, as I reported here. The epigenetics researcher Irina Stancheva, who has an impressive PubPeer record and was recently sacked for misconduct from the University of Edinburgh (see my report here), is still listed as NAR Executive Editor (Update 21.10: NAR now quietly removed her, here cached website). Also: another NAR Executive Editor is RNA-interference specialist Eric Westhof, from IBMP’s neighbour Institut de biologie moléculaire et cellulaire (IBMC) in Strasbourg. According to this document, Westhoff even collaborates with Drouard directly. We can safely guess however what CNRS will do, about their Drouard, Dunoyer, Jessus or even Susana Rivas cases. Exactly nothing at all, except maybe of instructing everyone never to read my site. Or else. Always, and always the blots…. It is always the blots because those are what we can see. The part about NAR, 2014 DOI: 10.1093/nar/gku728 Figure 1A is interesting because is does not fit the internal story that “un stagiaire” (unidentified male intern) faked the data in powerpoint, and the gel was later pasted into the NAR paper. You show a much more complex history for that gel. Data initially faked twice in 2006 (phd, PNAS paper), modified and reused in 2009 (phd), and modified again in 2014 (NAR paper). What’s the point of more lies once the paper hits pubpeer in 2017?